Sheila Rogers DeMare is a leader in the field of integrative therapies for neuro-behavioral disorders. She is founder and director of the international nonprofit organization Association for Comprehensive NeuroTherapy and editor of the website Latitudes.org. She communicates regularly with physicians, families, and organizations to learn and share new findings on treating neurological conditions and behavioral disorders with integrative approaches. Sheila is author of the Amazon best-seller Natural Treatments for Tics and Tourettes distributed by Random House and Stop Your Tics by Learning What Triggers Them (2018). 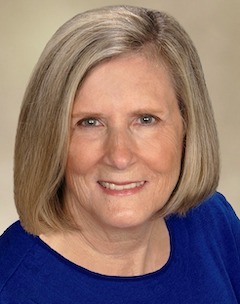 Sheila’s efforts have been featured in Psychology Today, Science Daily, Mothering Magazine, Sun Sentinel News, Journal of Child and Adolescent Psychopharmacology, The Palm Beach Post, The Environmental Physician, and The Townsend Letter Magazine and is a contributing author to Perspectives on Diseases and Disorders: Tourette Syndrome. She has appeared on television, spoken on radio, presented at conferences, and is a speaker at national conferences. A certified school psychologist, DeMare served as Mental Health Liaison for the School District of Palm Beach County. She is the mother of three adult children and resides with her husband in Grosse Ile, Michigan. Special interests include creative vegetarian cooking and meditation.